The ALS Ice Bucket Challenge was a trend that began circulating around the Internet throughout early August. It was intended to raise money for the ALS Association to help find a cure. ALS, also called Lou Gehrig’s disease, stands for Amyotrophic Lateral Sclerosis, and is a progressive disease that affects the spinal cord and nerve cells. According to Forbes’ article “How Pete Frates Found His Calling and Launched the Ice Bucket Challenge,” the challenge started with Pete Frates, a former Boston College baseball player, who was diagnosed with ALS in 2011. Frates lost his voice due to the disease, but that did not stop him from creating the challenge, which has brought together thousands of people to help raise awareness. “I believe the ALS Ice Bucket Challenge spread across media as fast as it did because celebrities participated, making a bigger effect,” said sophomore Katrina Krieger. Celebrities played a major role in making the challenge successful. Some of the participating celebrities included Ellen DeGeneres, Kim Kardashian, Justin Bieber, Taylor Swift, Jennifer Lopez, Oprah Winfrey, and Jimmy Fallon, just to name a few. According to ASLA’s website, a little over 5,600 people are diagnosed with ALS in the United States each year. After being diagnosed, about 50 percent live for about two or three more years. Compared to earlier years, more people with ALS are living longer due to the medication and treatments given. Since August, the Ice Bucket Challenge has raised over 100 million dollars. 79 percent of the proceeds from the challenge are going to research, patient and community services, and public and professional education. This school year at James River High School, more and more teachers are opening up classes to underclassmen that were once only available for upperclassmen. AP Studio Art, for example, has been made available to sophomores this year, and AP Environmental Science is now accepting sophomores as well. “I really like science and current events, and that class combines those things.” sophomore Cameron Donaldson said. Some students think that allowing younger students to take a larger variety of classes is a helpful thing, especially if someone is working at a more challenging level than the level of the classes that are offered to them. “I think it’s awesome because it’s like taking another elective, and in some cases, you may be more advanced, and if you are held to the norm then you can’t advance as quickly.” Donaldson said. As stated by Donaldson, sometimes someone is too advanced and it is necessary to place that student in a higher level class. “The art department always wants to see students placed where they will most succeed.” AP Studio Art teacher, Mrs. Wright said. Caption: Only the most advanced art students can make it into AP Studio Art, where they work on many complex art projects throughout the school year. 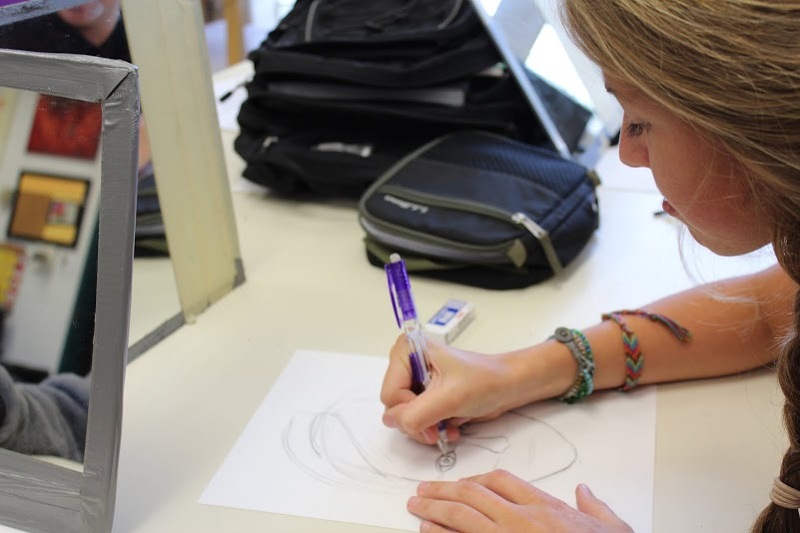 Last year as a freshman, Sarah Morgan was recommended to take AP Studio Art with Mrs. Wright for the 2014-2015 school year, one of the most advanced art classes available at James River. Morgan was simply too advanced to be put into a lower level class. Mrs. Wright also said that this is the first time she has ever let a sophomore into her AP Studio Art class, and it won’t become available to sophomores from now on, unless another exception is made. This entry was posted in Rapid Life. On Friday, November 8th, the James River Navy Junior Reserve Officer Training Corps (NJROTC) hosted the annual Veterans Day ceremony to honor those who have risked everything to defend the freedoms of others. Before the ceremony, veterans gathered together at the library to enjoy lunch and take some time to socialize with the other veterans. 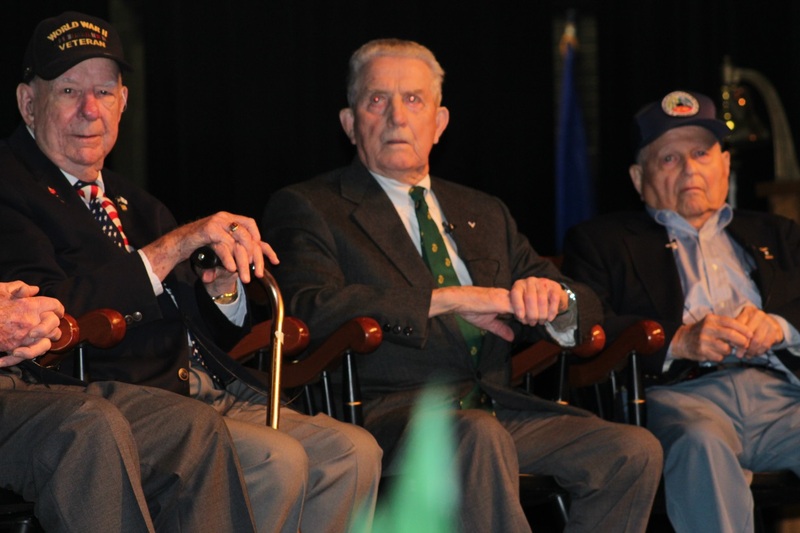 They shared their stories as service-members who participated in WWII and the Vietnam War. The ceremony first began with the NJROTC Color Guard presentation of the national colors. After the colors were presented, the ceremony began with intro videos made by leadership students that featured a brief bio of six veterans that served in WWII, battle at Pearl Harbor, and Vietnam War. Tom Tokarz hosted the Round Table Discussion featuring veterans Jack Carver, Ralph Phillips, Mike Trbovich, Ron Kimler, and Russell Scott. These men were featured in the six videos and answered questions made by leadership students and the audience. Photo by: Nicole Thomas, Photography Editor for Yearbook. Veterans answered questions during the Round Table discussion. The ceremony concluded in the auditorium with the presentation of the flags from all military branches, and was later moved outside at the memorial where Coach Tony Yonta, the NJROTC Color Guard, and WWII veterans laid the brick and wreath at the memorial outside of the school. Not only during Veterans Day or Memorial Day should citizens honor American service-members, but each and every day as they sacrifice their lives for our freedoms, they should be honor and respected. Could you imagine what James River High School could do with $100,000? James River has the chance to win all of that money with just a little effort from the students. State Farm Insurance is holding a competition in which a high school can win up to a $100,000 grant. Throughout this week, October 18-26, James River High School has the chance to make daily safe driving commitments on behalf of the school. James River High School is on the border of being eligible for the minor prize. Even though it’s the minor prize of $25,000, it is still a substantial amount of money. If the students step up their game and rank within the top 10, the school will be eligible to win the $100,000 prize. With this money, allegedly, the school will have the funding for flat screen T.V.s and tablets among other purchases. If you visit the site at,http://www.celebratemydrive.com/, you will be able to make a commitment. Now keep in mind that you are only able to vote once a day per email, so if you have more than one email, do not be afraid to vote with both. This upcoming Friday, October 26, will be the last day you will be able to make a commitment so make sure you vote every day until then! Two DECA (formerly Distributive Education Clubs of America) members, seniors Morgan Brown and Jada Marshall, are initiating a project to make over the school store; alongside Ms. Hayworth’s business, Ms. Heyssel’s English, and Ms. Bisogno’s graphic design classes. The original class project that Fashion Marketing teacher/DECA sponsor Ms. Baird assigned for her classes were to find and come up with ideas to make companies more customer friendly in terms of advertising and general product. 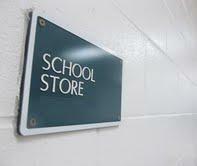 Brown and Marshall overheard conversations about using the school store as a sales tactic in the project, and initiated the idea. It doesn’t end there, DECA is promoting a contest, a school-wide search for students’ chance to come up with a name and a logo for the school store. Prizes include a free white JRHS tshirt and an assortment of candy: king-sized Mr. Good Bars and Hershey’s Mix Chocolates, with lollipops and many other sweets. 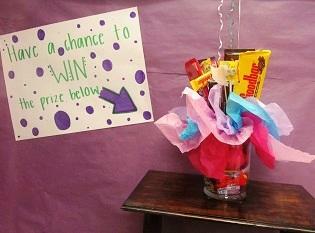 Kit Kat, Mr. Goodbar, Hersheys galore, apply to win candy and more. Visit Ms. Baird in room 2203 for an application by October 14 to possibly win the prizes and help the marketing classes promote the school store in this event! It’s the 2nd quarter, right before halftime. You’re in position to catch the ball when all of a sudden, you’re lying on the ground and a group of people are standing over you. Your head’s throbbing and there’s a disoriented view of the scoreboard. Do you get back on your feet, or do you stay down? Junior Javaun James, number 27, was injured during the military appreciation day football game and was pulled away on a stretcher. “I didn’t see the guy that was coming; I was paying attention to the guy with the football.” James said. Junior Javaun James after his quick recovery. There have been rumors circulating that James broke his collarbone and/or had a concussion, but rest assured he’s fine. 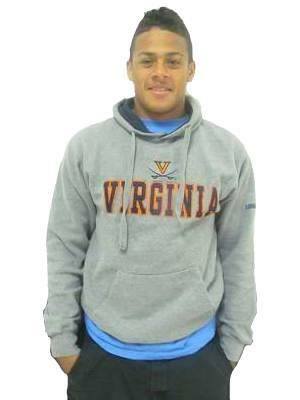 Head football coach Gregory Defrancesco disagrees with the hospital staff, but has confirmed that James has returned to the team as a running back. According to momsteam.com, there’s annually around 1.6 to 3.8 million sports-related concussions in the US alone. James couldn’t simply jump back onto the team, however; he had to take cognitive tests as well as conditioning. He passed through these phases quickly, and came back on the fifth day of his absence. Even though James wasn’t gone for long, his team was definitely affected by his absence. Injuries happen in a sport, that’s a risk athletes take in order to play the game. We can’t go marching over to L.C. Byrd and demand that their football players work extra hard to keep their heads up, but we can try to set an example for those who go against our team. This entry was posted in Rapid Life, Sports Teams and tagged Football, Rapid Life. On November 1st, 2013, James River High School will be holding their very own Pumpkin Drop Event as a Halloween celebration. Each Physics class will split up into five equal parts. Within each group there will be a Team Captain, Structural Engineer, Aesthetics Engineer, Marketing Manager, and Technological Manager. The roles of each team member are the following: Team Captain has to make sure that everything goes the way that is planned, oversees the overall project. The Structural Engineer must design an apparatus to keep the pumpkin from breaking as it hits the ground. The Aesthetics engineer will be in charge of the design of the apparatus itself. The Marketing Manager is to be in charge of promoting and advertising the structure. Finally, the Technological Manager is to be in charge of design for a website and analyzing the recording of the drop. With the approach of the event, every team is scrambling to get the advantage and win the competition. They will all have to put a lot of effort into making the apparatus if they hope to go home with the victory and satisfaction of winning in front of the entire school at the game on November 1st. Stay tuned to this ongoing story because we will post future updates.